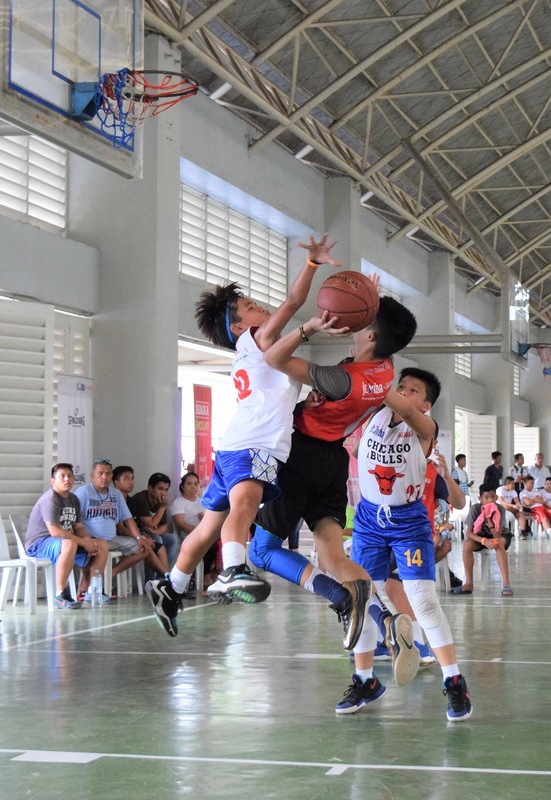 A record-breaking 1,505 young basketball players across Mindanao welcomed the Jr. NBA Philippines 2018 presented by Alaska at Fr. Saturnino Urios University in Butuan City on Feb. 24-25. Boys and girls from Butuan, Cagayan de Oro, Bukidnon, Davao, Sarangani and other cities and provinces in Mindanao, including young Higa-onon, Manobo and Banwaon players, participated in the first-ever Jr. NBA Regional Selection Camp in Butuan City, Agusan Del Norte. 11 aspirants got the nod from Jr. NBA Coaches Rob Newson and Jeffrey Cariaso as they excelled in two days’ worth of intense basketball training and scrimmages. They also exemplified the Jr. NBA core S.T.A.R. values of Sportsmanship, Teamwork, a positive Attitude and Respect throughout the camp. Travelling to Manila for the National Training Camp on May 18-20 are Richard Carvero III, 13, and Paolo Matthew Kho, 13, of Corpus Christi School; Christian Joi Mesias, 14, of Jose Maria College; Zhan Paolo Moreno, 13, of Xavier University; Michael John Sarmiento, 13, of Father Saturnino Urios University; Klein Tyrone Tagotongan, 13, of St. Mary’s School; and Vince Uchi, 14, of Alabel National Science Highschool for the boys division and Madelyn Flores, 14, of Bukidnon National Highschool; Aishe Solis, 13, of Corpus Christi School; Mikylla Taborada, 13, of Kauswagan National Highschool; and Pauline Angelique Valle, 13, of Misamis Oriental General Comprehensive Highschool for the girls division. “There’s a lot of talent here. We were really impressed with at least three of the kids who were selected that we really feel have the natural ability to make it until the end. The kids love the game. They worked really hard and I’m excited to see them in Manila,” said Coach Newson. Boys and girls aged 10-14 who want to join the NBA’s free youth basketball program can still participate in the two remaining Regional Selection Camps in Baguio on March 17-18 and Manila on April 21-22. Interested participants can still register online at www.jrnba.asia, where the program terms and conditions can be found. For more information, fans can follow Jr. NBA on Facebook at www.facebook.com/jrnbaphilippinesand Twitter at www.twitter.com/nba_philippnes. For all things NBA, fans can visit www.nba.com, like the NBA on Facebook at www.facebook.com/philsnba and follow www.twitter.com/nba_philippines on Twitter.